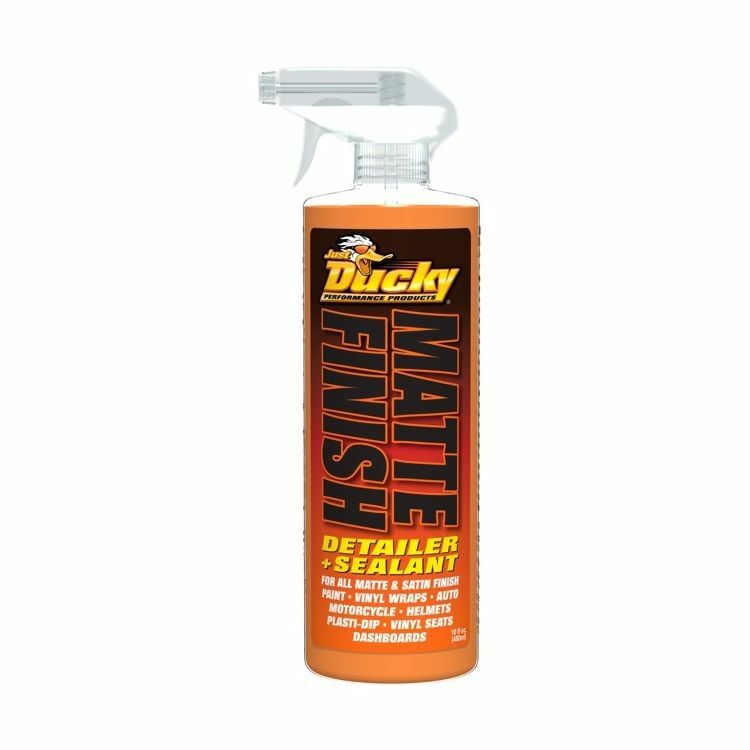 Ducky Matte Finish Detailer + Spray Sealant is the perfect solution for preserving matte finish helmets, motorcycles and vinyl wraps. Matte Finish is designed to clean, maintain and protect all matte finish surfaces and incorporates a Spray Sealant Technology to protect from stains and contamination while effectively repelling dirt, debris and road film with a unique coating system. Ducky Matte Finish Detailer + Sealant was designed to work with all OEM matte and satin finish paints and vinyl wraps, products containing wax, silicone or surfactants with high pH can permanently damage matte finishes.